YUSUFALI: These are verses of the Book that makes (things) clear. PICKTHAL: These are revelations of the Scripture that maketh plain. SHAKIR: These are the verses of the Book that makes (things) clear. YUSUFALI: It may be thou frettest thy soul with grief, that they do not become Believers. PICKTHAL: It may be that thou tormentest thyself (O Muhammad) because they believe not. SHAKIR: Perhaps you will kill yourself with grief because they do not believe. YUSUFALI: If (such) were Our Will, We could send down to them from the sky a Sign, to which they would bend their necks in humility. PICKTHAL: If We will, We can send down on them from the sky a portent so that their necks would remain bowed before it. SHAKIR: If We please, We should send down upon them a sign from the heaven so that their necks should stoop to it. YUSUFALI: But there comes not to them a newly-revealed Message from (Allah) Most Gracious, but they turn away therefrom. PICKTHAL: Never cometh there unto them a fresh reminder from the Beneficent One, but they turn away from it. SHAKIR: And there does not come to them a new reminder from the Beneficent Allah but they turn aside from it. YUSUFALI: They have indeed rejected (the Message): so they will know soon (enough) the truth of what they mocked at! PICKTHAL: Now they have denied (the Truth); but there will come unto them tidings of that whereat they used to scoff. SHAKIR: So they have indeed rejected (the truth), therefore the news of that which they mock shall soon come to them. YUSUFALI: Do they not look at the earth,- how many noble things of all kinds We have produced therein? PICKTHAL: Have they not seen the earth, how much of every fruitful kind We make to grow therein? SHAKIR: Do they not see the earth, how many of every noble kind We have caused to grow in it? YUSUFALI: Verily, in this is a Sign: but most of them do not believe. PICKTHAL: Lo! herein is indeed a portent; yet most of them are not believers. SHAKIR: Most surely there is a sign in that, but most of them will not believe. YUSUFALI: And verily, thy Lord is He, the Exalted in Might, Most Merciful. PICKTHAL: And lo! thy Lord! He is indeed the Mighty, the Merciful. SHAKIR: And most surely your Lord is the Mighty, the Merciful. YUSUFALI: "The people of the Pharaoh: will they not fear Allah?" PICKTHAL: The folk of Pharaoh. Will they not ward off (evil)? SHAKIR: The people of Firon: Will they not guard (against evil)? YUSUFALI: "My breast will be straitened. And my speech may not go (smoothly): so send unto Aaron. PICKTHAL: And I shall be embarrassed, and my tongue will not speak plainly, therefor send for Aaron (to help me). YUSUFALI: "And (further), they have a charge of crime against me; and I fear they may slay me." PICKTHAL: And they have a crime against me, so I fear that they will kill me. SHAKIR: And they have a crime against me, therefore I fear that they may slay me. YUSUFALI: Allah said: "By no means! proceed then, both of you, with Our Signs; We are with you, and will listen (to your call). PICKTHAL: He said: Nay, verily. So go ye twain with Our tokens. Lo! We shall be with you, Hearing. YUSUFALI: "'Send thou with us the Children of Israel.'" PICKTHAL: (Saying): Let the Children of Israel go with us. SHAKIR: Then send with us the children of Israel. YUSUFALI: (Pharaoh) said: "Did we not cherish thee as a child among us, and didst thou not stay in our midst many years of thy life? SHAKIR: (Firon) said: Did we not bring you up as a child among us, and you tarried among us for (many) years of your life? YUSUFALI: "And thou didst a deed of thine which (thou knowest) thou didst, and thou art an ungrateful (wretch)!" PICKTHAL: And thou didst that thy deed which thou didst, and thou wast one of the ingrates. SHAKIR: And you did (that) deed of yours which you did, and you are one of the ungrateful. YUSUFALI: Moses said: "I did it then, when I was in error. PICKTHAL: He said: I did it then, when I was of those who are astray. YUSUFALI: "So I fled from you (all) when I feared you; but my Lord has (since) invested me with judgment (and wisdom) and appointed me as one of the messengers. PICKTHAL: Then I fled from you when I feared you, and my Lord vouchsafed me a command and appointed me (of the number) of those sent (by Him). YUSUFALI: "And this is the favour with which thou dost reproach me,- that thou hast enslaved the Children of Israel!" PICKTHAL: And this is the past favour wherewith thou reproachest me: that thou hast enslaved the Children of Israel. SHAKIR: And is it a favor of which you remind me that you have enslaved the children of Israel? YUSUFALI: Pharaoh said: "And what is the 'Lord and Cherisher of the worlds'?" PICKTHAL: Pharaoh said: And what is the Lord of the Worlds? SHAKIR: Firon said: And what is the Lord of the worlds? YUSUFALI: (Moses) said: "The Lord and Cherisher of the heavens and the earth, and all between,- if ye want to be quite sure." PICKTHAL: (Moses) said: Lord of the heavens and the earth and all that is between them, if ye had but sure belief. SHAKIR: He said: The Lord of the heavens and the earth and what is between them, if you would be sure. YUSUFALI: (Pharaoh) said to those around: "Did ye not listen (to what he says)?" PICKTHAL: (Pharaoh) said unto those around him: Hear ye not? SHAKIR: (Firon) said to those around him: Do you not hear? YUSUFALI: (Moses) said: "Your Lord and the Lord of your fathers from the beginning!" PICKTHAL: He said: Your Lord and the Lord of your fathers. SHAKIR: He said: Your Lord and the Lord of your fathers of old. YUSUFALI: (Pharaoh) said: "Truly your messenger who has been sent to you is a veritable madman!" PICKTHAL: (Pharaoh) said: Lo! your messenger who hath been sent unto you is indeed a madman! SHAKIR: Said he: Most surely your Messenger who is sent to you is mad. YUSUFALI: (Moses) said: "Lord of the East and the West, and all between! if ye only had sense!" PICKTHAL: He said: Lord of the East and the West and all that is between them, if ye did but understand. SHAKIR: He said: The Lord of the east and the west and what is between them, if you understand. YUSUFALI: (Pharaoh) said: "If thou dost put forward any god other than me, I will certainly put thee in prison!" PICKTHAL: (Pharaoh) said: If thou choosest a god other than me, I assuredly shall place thee among the prisoners. SHAKIR: Said he: If you will take a god besides me, I will most certainly make you one of the imprisoned. YUSUFALI: (Moses) said: "Even if I showed you something clear (and) convincing?" PICKTHAL: He said: Even though I show thee something plain? SHAKIR: He said: What! even if I bring to you something manifest? YUSUFALI: (Pharaoh) said: "Show it then, if thou tellest the truth!" PICKTHAL: (Pharaoh) said: Produce it then, if thou art of the truthful! SHAKIR: Said he: Bring it then, if you are of the truthful ones. YUSUFALI: So (Moses) threw his rod, and behold, it was a serpent, plain (for all to see)! YUSUFALI: And he drew out his hand, and behold, it was white to all beholders! PICKTHAL: And he drew forth his hand and lo! it was white to the beholders. SHAKIR: And he drew forth his hand, and lo! it appeared white to the onlookers. YUSUFALI: "His plan is to get you out of your land by his sorcery; then what is it ye counsel?" PICKTHAL: Who would drive you out of your land by his magic. Now what counsel ye? SHAKIR: Who desires to turn you out of your land with his magic; what is it then that you advise? YUSUFALI: "And bring up to thee all (our) sorcerers well-versed." PICKTHAL: Who shall bring unto thee every knowing wizard. SHAKIR: That they should bring to you every skillful magician. PICKTHAL: So the wizards were gathered together at a set time on a day appointed. PICKTHAL: And it was said unto the people: Are ye (also) gathering? SHAKIR: And it was said to the people: Will you gather together? YUSUFALI: "That we may follow the sorcerers (in religion) if they win?" PICKTHAL: (They said): Aye, so that we may follow the wizards if they are the winners. SHAKIR: Haply we may follow the magicians, if they are the vanquishers. YUSUFALI: So when the sorcerers arrived, they said to Pharaoh: "Of course - shall we have a (suitable) reward if we win? PICKTHAL: And when the wizards came they said unto Pharaoh: Will there surely be a reward for us if we are the winners? SHAKIR: And when the magicians came, they said to Firon: Shall we get a reward if we are the vanquishers? YUSUFALI: He said: "Yea, (and more),- for ye shall in that case be (raised to posts) nearest (to my person)." PICKTHAL: He said: Aye, and ye will then surely be of those brought near (to me). SHAKIR: He said: Yes, and surely you will then be of those who are made near. YUSUFALI: Moses said to them: "Throw ye - that which ye are about to throw!" PICKTHAL: Moses said unto them: Throw what ye are going to throw! SHAKIR: Musa said to them: Cast what you are going to cast. YUSUFALI: So they threw their ropes and their rods, and said: "By the might of Pharaoh, it is we who will certainly win!" PICKTHAL: Then they threw down their cords and their staves and said: By Pharaoh's might, lo! we verily are the winners. SHAKIR: So they cast down their cords and their rods and said: By Firon's power, we shall most surely be victorious. YUSUFALI: Then Moses threw his rod, when, behold, it straightway swallows up all the falsehoods which they fake! PICKTHAL: Then Moses threw his staff and lo! it swallowed that which they did falsely show. SHAKIR: Then Musa cast down his staff and lo! it swallowed up the lies they told. YUSUFALI: "The Lord of Moses and Aaron." PICKTHAL: The Lord of Moses and Aaron. SHAKIR: The Lord of Musa and Haroun. YUSUFALI: Said (Pharaoh): "Believe ye in Him before I give you permission? surely he is your leader, who has taught you sorcery! but soon shall ye know! Be sure I will cut off your hands and your feet on opposite sides, and I will cause you all to die on the cross!" PICKTHAL: (Pharaoh) said: Ye put your faith in him before I give you leave. Lo! he doubtless is your chief who taught you magic! But verily ye shall come to know. Verily I will cut off your hands and your feet alternately, and verily I will crucify you every one. SHAKIR: Said he: You believe in him before I give you permission; most surely he is the chief of you who taught you the magic, so you shall know: certainly I will cut off your hands and your feet on opposite sides, and certainly I will crucify you all. YUSUFALI: They said: "No matter! for us, we shall but return to our Lord! PICKTHAL: They said: It is no hurt, for lo! unto our Lord we shall return. YUSUFALI: "Only, our desire is that our Lord will forgive us our faults, that we may become foremost among the believers!" PICKTHAL: Lo! we ardently hope that our Lord will forgive us our sins because we are the first of the believers. SHAKIR: Surely we hope that our Lord will forgive us our wrongs because we are the first of the believers. YUSUFALI: By inspiration we told Moses: "Travel by night with my servants; for surely ye shall be pursued." PICKTHAL: And We inspired Moses, saying: Take away My slaves by night, for ye will be pursued. SHAKIR: And We revealed to Musa, saying: Go away with My servants travelling by night, surely you will be pursued. PICKTHAL: And lo! they are offenders against us. YUSUFALI: "But we are a multitude amply fore-warned." PICKTHAL: And lo! we are a ready host. SHAKIR: And most surely we are a vigilant multitude. PICKTHAL: And treasures and a fair estate. YUSUFALI: Thus it was, but We made the Children of Israel inheritors of such things. PICKTHAL: Thus (were those things taken from them) and We caused the Children of Israel to inherit them. SHAKIR: Even so. And We gave them as a heritage to the children of Israel. YUSUFALI: So they pursued them at sunrise. PICKTHAL: And they overtook them at sunrise. SHAKIR: Then they pursued them at sunrise. YUSUFALI: And when the two bodies saw each other, the people of Moses said: "We are sure to be overtaken." PICKTHAL: And when the two hosts saw each other, those with Moses said: Lo! we are indeed caught. SHAKIR: So when the two hosts saw each other, the companions of Musa cried out: Most surely we are being overtaken. YUSUFALI: (Moses) said: "By no means! my Lord is with me! Soon will He guide me!" PICKTHAL: He said: Nay, verily! for lo! my Lord is with me. He will guide me. SHAKIR: He said: By no means; surely my Lord is with me: He will show me a way out. YUSUFALI: Then We told Moses by inspiration: "Strike the sea with thy rod." So it divided, and each separate part became like the huge, firm mass of a mountain. PICKTHAL: Then We inspired Moses, saying: Smite the sea with thy staff. And it parted, and each part was as a mountain vast. SHAKIR: Then We revealed to Musa: Strike the sea with your staff. So it had cloven asunder, and each part was like a huge mound. YUSUFALI: And We made the other party approach thither. PICKTHAL: Then brought We near the others to that place. SHAKIR: And We brought near, there, the others. SHAKIR: And We saved Musa and those with him, all of them. YUSUFALI: But We drowned the others. PICKTHAL: And We drowned the others. SHAKIR: Then We drowned the others. YUSUFALI: Verily in this is a Sign: but most of them do not believe. PICKTHAL: Lo! herein is indeed a portent, yet most of them are not believers. SHAKIR: Most surely there is a sign in this, but most of them do not believe. YUSUFALI: And verily thy Lord is He, the Exalted in Might, Most Merciful. PICKTHAL: And lo, thy Lord! He is indeed the Mighty, the Merciful. YUSUFALI: And rehearse to them (something of) Abraham's story. SHAKIR: And recite to them the story of Ibrahim. YUSUFALI: Behold, he said to his father and his people: "What worship ye?" PICKTHAL: When he said unto his father and his folk: What worship ye? SHAKIR: When he said to his father and his people: What do you worship? YUSUFALI: They said: "We worship idols, and we remain constantly in attendance on them." PICKTHAL: They said: We worship idols, and are ever devoted unto them. SHAKIR: They said: We worship idols, so we shall be their votaries. YUSUFALI: He said: "Do they listen to you when ye call (on them)?" PICKTHAL: He said: Do they hear you when ye cry? SHAKIR: He said: Do they hear you when you call? YUSUFALI: "Or do you good or harm?" PICKTHAL: Or do they benefit or harm you? SHAKIR: Or do they profit you or cause you harm? YUSUFALI: They said: "Nay, but we found our fathers doing thus (what we do)." PICKTHAL: They said: Nay, but we found our fathers acting on this wise. SHAKIR: They said: Nay, we found our fathers doing so. PICKTHAL: Ye and your forefathers! SHAKIR: You and your ancient sires. PICKTHAL: And Who feedeth me and watereth me. YUSUFALI: "And who, I hope, will forgive me my faults on the day of Judgment. PICKTHAL: And Who, I ardently hope, will forgive me my sin on the Day of Judgment. SHAKIR: And Who, I hope, will forgive me my mistakes on the day of judgment. PICKTHAL: My Lord! Vouchsafe me wisdom and unite me to the righteous. PICKTHAL: And give unto me a good report in later generations. PICKTHAL: And forgive my father. Lo! he is of those who err. PICKTHAL: Save him who bringeth unto Allah a whole heart. SHAKIR: Except him who comes to Allah with a heart free (from evil). PICKTHAL: And the Garden will be brought nigh for those who ward off (evil). PICKTHAL: And hell will appear plainly to the erring. PICKTHAL: Instead of Allah? Can they help you or help themselves? SHAKIR: Besides Allah? Can they help you or yet help themselves? YUSUFALI: "And the whole hosts of Iblis together. PICKTHAL: And the hosts of Iblis, together. SHAKIR: And the hosts of the Shaitan, all. PICKTHAL: When we made you equal with the Lord of the Worlds. YUSUFALI: "'And our seducers were only those who were steeped in guilt. PICKTHAL: It was but the guilty who misled us. YUSUFALI: "'Nor a single friend to feel (for us). PICKTHAL: Nor any loving friend. YUSUFALI: "'Now if we only had a chance of return we shall truly be of those who believe!'" PICKTHAL: Oh, that we had another turn (on earth), that we might be of the believers! SHAKIR: But if we could but once return, we would be of the believers. YUSUFALI: Verily in this is a Sign but most of them do not believe. PICKTHAL: Lo! herein is indeed a portent, yet most of them are not believers! YUSUFALI: The people of Noah rejected the messengers. SHAKIR: The people of Nuh rejected the messengers. YUSUFALI: Behold, their brother Noah said to them: "Will ye not fear (Allah)? PICKTHAL: When their brother Noah said unto them: Will ye not ward off (evil)? SHAKIR: When their brother Nuh said to them: Will you not guard (against evil)? YUSUFALI: "So fear Allah, and obey me. PICKTHAL: So keep your duty to Allah, and obey me. PICKTHAL: And I ask of you no wage therefor; my wage is the concern only of the Lord of the Worlds. YUSUFALI: "So fear Allah, and obey me." SHAKIR: So guard against (the punishment of) Allah and obey me. YUSUFALI: They said: "Shall we believe in thee when it is the meanest that follow thee?" PICKTHAL: They said: Shall we put faith in thee, when the lowest (of the people) follow thee? SHAKIR: They said: Shall we believe in you while the meanest follow you? YUSUFALI: He said: "And what do I know as to what they do? PICKTHAL: He said: And what knowledge have I of what they may have been doing (in the past)? SHAKIR: He said: And what knowledge have I of what they do? YUSUFALI: "Their account is only with my Lord, if ye could (but) understand. YUSUFALI: "I am not one to drive away those who believe. PICKTHAL: And I am not (here) to repulse believers. YUSUFALI: "I am sent only to warn plainly in public." PICKTHAL: I am only a plain warner. SHAKIR: I am naught but a plain warner. YUSUFALI: They said: "If thou desist not, O Noah! thou shalt be stoned (to death)." PICKTHAL: They said: If thou cease not, O Noah, thou wilt surely be among those stoned (to death). SHAKIR: They said: If you desist not, O Nuh, you shall most certainly be of those stoned to death. YUSUFALI: He said: "O my Lord! truly my people have rejected me. PICKTHAL: He said: My Lord! Lo! my own folk deny me. SHAKIR: He said: My Lord! Surely my people give me the lie! YUSUFALI: "Judge Thou, then, between me and them openly, and deliver me and those of the Believers who are with me." PICKTHAL: Therefor judge Thou between us, a (conclusive) judgment, and save me and those believers who are with me. SHAKIR: Therefore judge Thou between me and them with a (just) judgment, and deliver me and those who are with me of the believers. YUSUFALI: So We delivered him and those with him, in the Ark filled (with all creatures). PICKTHAL: And We saved him and those with him in the laden ship. SHAKIR: So We delivered him and those with him in the laden ark. YUSUFALI: Thereafter We drowned those who remained behind. PICKTHAL: Then afterward We drowned the others. PICKTHAL: And lo, thy Lord, He is indeed the Mighty, the Merciful. YUSUFALI: The 'Ad (people) rejected the messengers. PICKTHAL: (The tribe of) A'ad denied the messengers (of Allah). SHAKIR: Ad gave the lie to the messengers. YUSUFALI: Behold, their brother Hud said to them: "Will ye not fear (Allah)? PICKTHAL: When their brother Hud said unto them: Will ye not ward off (evil)? SHAKIR: When their brother Hud said to them: Will you not guard (against evil)? YUSUFALI: "So fear Allah and obey me. PICKTHAL: So keep your duty to Allah and obey me. YUSUFALI: "No reward do I ask of you for it: my reward is only from the Lord of the Worlds. YUSUFALI: "Do ye build a landmark on every high place to amuse yourselves? PICKTHAL: Build ye on every high place a monument for vain delight? YUSUFALI: "And do ye get for yourselves fine buildings in the hope of living therein (for ever)? PICKTHAL: And seek ye out strongholds, that haply ye may last for ever? YUSUFALI: "And when ye exert your strong hand, do ye do it like men of absolute power? PICKTHAL: And if ye seize by force, seize ye as tyrants? YUSUFALI: "Now fear Allah, and obey me. PICKTHAL: Rather keep your duty to Allah, and obey me. YUSUFALI: "Yea, fear Him Who has bestowed on you freely all that ye know. SHAKIR: And be careful of (your duty to) Him Who has given you abundance of what you know. PICKTHAL: Hath aided you with cattle and sons. YUSUFALI: "And Gardens and Springs. PICKTHAL: And gardens and watersprings. YUSUFALI: "Truly I fear for you the Penalty of a Great Day." PICKTHAL: Lo! I fear for you the retribution of an awful day. YUSUFALI: They said: "It is the same to us whether thou admonish us or be not among (our) admonishers! YUSUFALI: "And we are not the ones to receive Pains and Penalties!" PICKTHAL: And we shall not be doomed. SHAKIR: And we are not going to be punished. YUSUFALI: So they rejected him, and We destroyed them. Verily in this is a Sign: but most of them do not believe. PICKTHAL: And they denied him; therefor We destroyed them. Lo! herein is indeed a portent, yet most of them are not believers. SHAKIR: So they gave him the lie, then We destroyed them. Most surely there is a sign in this, but most of them do not believe. PICKTHAL: And lo! thy Lord, He is indeed the Mighty, the Merciful. YUSUFALI: The Thamud (people) rejected the messengers. YUSUFALI: Behold, their brother Salih said to them: "Will you not fear (Allah)? PICKTHAL: When their brother Salih said unto them: Will ye not ward off (evil)? SHAKIR: When their brother Salih said to them: Will you not guard (against evil)? YUSUFALI: "I am to you a messenger worthy of all trust. PICKTHAL: In gardens and watersprings. YUSUFALI: "And corn-fields and date-palms with spathes near breaking (with the weight of fruit)? SHAKIR: And cornfields and palm-trees having fine spadices? YUSUFALI: "And ye carve houses out of (rocky) mountains with great skill. PICKTHAL: Though ye hew out dwellings in the mountain, being skilful? YUSUFALI: "Who make mischief in the land, and mend not (their ways)." PICKTHAL: Who spread corruption in the earth, and reform not. SHAKIR: Who make mischief in the land and do not act aright. YUSUFALI: They said: "Thou art only one of those bewitched! YUSUFALI: "Thou art no more than a mortal like us: then bring us a Sign, if thou tellest the truth!" PICKTHAL: Thou art but a mortal like us. So bring some token if thou art of the truthful. SHAKIR: You are naught but a mortal like ourselves; so bring a sign if you are one of the truthful. YUSUFALI: He said: "Here is a she-camel: she has a right of watering, and ye have a right of watering, (severally) on a day appointed. PICKTHAL: He said: (Behold) this she-camel. She hath the right to drink (at the well), and ye have the right to drink, (each) on an appointed day. YUSUFALI: "Touch her not with harm, lest the Penalty of a Great Day seize you." PICKTHAL: And touch her not with ill lest there come on you the retribution of an awful day. SHAKIR: And do not touch her with evil, lest the punishment of a grievous day should overtake you. YUSUFALI: But they ham-strung her: then did they become full of regrets. PICKTHAL: But they hamstrung her, and then were penitent. YUSUFALI: But the Penalty seized them. Verily in this is a Sign: but most of them do not believe. PICKTHAL: So the retribution came on them. Lo! herein is indeed a portent, yet most of them are not believers. SHAKIR: So the punishment overtook them. Most surely there is a sign in this, but most of them do not believe. YUSUFALI: The people of Lut rejected the messengers. SHAKIR: The people of Lut gave the lie to the messengers. YUSUFALI: Behold, their brother Lut said to them: "Will ye not fear (Allah)? PICKTHAL: When their brother Lot said unto them: Will ye not ward off (evil)? SHAKIR: When their brother Lut said to them: Will you not guard (against evil)? YUSUFALI: "And leave those whom Allah has created for you to be your mates? Nay, ye are a people transgressing (all limits)!" PICKTHAL: And leave the wives your Lord created for you? Nay, but ye are froward folk. SHAKIR: And leave what your Lord has created for you of your wives? Nay, you are a people exceeding limits. YUSUFALI: They said: "If thou desist not, O Lut! thou wilt assuredly be cast out!" PICKTHAL: They said: If thou cease not, O Lot, thou wilt soon be of the outcast. SHAKIR: They said: If you desist not, O Lut! you shall surely be of those who are expelled. YUSUFALI: He said: "I do detest your doings." PICKTHAL: He said: I am in truth of those who hate your conduct. YUSUFALI: "O my Lord! deliver me and my family from such things as they do!" PICKTHAL: My Lord! Save me and my household from what they do. SHAKIR: My Lord ! deliver me and my followers from what they do. YUSUFALI: Except an old woman who lingered behind. PICKTHAL: Save an old woman among those who stayed behind. SHAKIR: Except an old woman, among those who remained behind. YUSUFALI: But the rest We destroyed utterly. PICKTHAL: Then afterward We destroyed the others. SHAKIR: Then We utterly destroyed the others. YUSUFALI: We rained down on them a shower (of brimstone): and evil was the shower on those who were admonished (but heeded not)! PICKTHAL: And We rained on them a rain. And dreadful is the rain of those who have been warned. SHAKIR: And We rained down upon them a rain, and evil was the rain on those warned. YUSUFALI: And verily thy Lord is He, the Exalted in Might Most Merciful. YUSUFALI: The Companions of the Wood rejected the messengers. SHAKIR: The dwellers of the thicket gave the lie to the messengers. YUSUFALI: Behold, Shu'aib said to them: "Will ye not fear (Allah)? PICKTHAL: When Shu'eyb said unto them: Will ye not ward off (evil)? SHAKIR: When Shu'aib said to them: Will you not guard (against evil)? PICKTHAL: And I ask of you no wage for it; my wage is the concern only of the Lord of the Worlds. YUSUFALI: "Give just measure, and cause no loss (to others by fraud). PICKTHAL: Give full measure, and be not of those who give less (than the due). YUSUFALI: "And weigh with scales true and upright. PICKTHAL: And weigh with the true balance. YUSUFALI: "And withhold not things justly due to men, nor do evil in the land, working mischief. PICKTHAL: Wrong not mankind in their goods, and do not evil, making mischief, in the earth. SHAKIR: And do not wrong men of their things, and do not act corruptly in the earth, making mischief. YUSUFALI: "And fear Him Who created you and (who created) the generations before (you)"
PICKTHAL: And keep your duty unto Him Who created you and the generations of the men of old. SHAKIR: And guard against (the punishment of) Him who created you and the former nations. YUSUFALI: "Thou art no more than a mortal like us, and indeed we think thou art a liar! PICKTHAL: Thou art but a mortal like us, and lo! we deem thee of the liars. SHAKIR: And you are naught but a mortal like ourselves, and we know you to be certainly of the liars. YUSUFALI: "Now cause a piece of the sky to fall on us, if thou art truthful!" PICKTHAL: Then make fragments of the heaven fall upon us, if thou art of the truthful. SHAKIR: Therefore cause a portion of the heaven to come down upon us, if you are one of the truthful. YUSUFALI: He said: "My Lord knows best what ye do." PICKTHAL: He said: My Lord is Best Aware of what ye do. SHAKIR: He said: My Lord knows best what you do. YUSUFALI: But they rejected him. Then the punishment of a day of overshadowing gloom seized them, and that was the Penalty of a Great Day. PICKTHAL: But they denied him, so there came on them the retribution of the day of gloom. Lo! it was the retribution of an awful day. SHAKIR: But they called him a liar, so the punishment of the day of covering overtook them; surely it was the punishment of a grievous day. YUSUFALI: Verily in that is a Sign: but most of them do not believe. SHAKIR: And most surely your Lord is Mighty, the Merciful. SHAKIR: And most surely this is a revelation from the Lord of the worlds. YUSUFALI: To thy heart and mind, that thou mayest admonish. YUSUFALI: In the perspicuous Arabic tongue. PICKTHAL: In plain Arabic speech. SHAKIR: In plain Arabic language. YUSUFALI: Without doubt it is (announced) in the mystic Books of former peoples. PICKTHAL: And lo! it is in the Scriptures of the men of old. 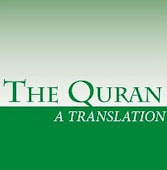 SHAKIR: And most surely the same is in the scriptures of the ancients. YUSUFALI: Is it not a Sign to them that the Learned of the Children of Israel knew it (as true)? PICKTHAL: Is it not a token for them that the doctors of the Children of Israel know it? SHAKIR: Is it not a sign to them that the learned men of the Israelites know it? YUSUFALI: And had he recited it to them, they would not have believed in it. PICKTHAL: And he had read it unto them, they would not have believed in it. SHAKIR: So that he should have recited it to them, they would not have believed therein. YUSUFALI: Thus have We caused it to enter the hearts of the sinners. PICKTHAL: Thus do We make it traverse the hearts of the guilty. SHAKIR: Thus have We caused it to enter into the hearts of the guilty. SHAKIR: They will not believe in it until they see the painful punishment. PICKTHAL: So that it will come upon them suddenly, when they perceive not. YUSUFALI: Then they will say: "Shall we be respited?" PICKTHAL: Then they will say: Are we to be reprieved? SHAKIR: Then they will say: Shall we be respited? YUSUFALI: Do they then ask for Our Penalty to be hastened on? PICKTHAL: Would they (now) hasten on Our doom? SHAKIR: What! do they still seek to hasten on Our punishment? YUSUFALI: Yet there comes to them at length the (Punishment) which they were promised! YUSUFALI: It will profit them not that they enjoyed (this life)! PICKTHAL: (How) that wherewith they were contented naught availeth them? SHAKIR: That which they were made to enjoy shall not avail them? YUSUFALI: By way of reminder; and We never are unjust. PICKTHAL: For reminder, for We never were oppressors. SHAKIR: To remind, and We are never unjust. PICKTHAL: The devils did not bring it down. SHAKIR: And the Shaitans have not come down with it. YUSUFALI: It would neither suit them nor would they be able (to produce it). SHAKIR: And it behoves them not, and they have not the power to do (it). YUSUFALI: Indeed they have been removed far from even (a chance of) hearing it. PICKTHAL: Lo! verily they are banished from the hearing. SHAKIR: Most surely they are far removed from the hearing of it. YUSUFALI: So call not on any other god with Allah, or thou wilt be among those under the Penalty. PICKTHAL: Therefor invoke not with Allah another god, lest thou be one of the doomed. SHAKIR: So call not upon another god with Allah, lest you be of those who are punished. YUSUFALI: And lower thy wing to the Believers who follow thee. PICKTHAL: And lower thy wing (in kindness) unto those believers who follow thee. SHAKIR: And be kind to him who follows you of the believers. YUSUFALI: Then if they disobey thee, say: "I am free (of responsibility) for what ye do!" PICKTHAL: And if they (thy kinsfolk) disobey thee, say: Lo! I am innocent of what they do. SHAKIR: But if they disobey you, then say: Surely I am clear of what you do. PICKTHAL: And put thy trust in the Mighty, the Merciful. SHAKIR: Who sees you when you stand up. PICKTHAL: And (seeth) thine abasement among those who fall prostrate (in worship). SHAKIR: And your turning over and over among those who prostrate themselves before Allah. YUSUFALI: For it is He Who heareth and knoweth all things. PICKTHAL: Lo! He, only He, is the Hearer, the Knower. SHAKIR: Surely He is the Hearing, the Knowing. YUSUFALI: Shall I inform you, (O people! ), on whom it is that the evil ones descend? PICKTHAL: Shall I inform you upon whom the devils descend? SHAKIR: Shall I inform you (of him) upon whom the Shaitans descend? PICKTHAL: They descend on every sinful, false one. YUSUFALI: (Into whose ears) they pour hearsay vanities, and most of them are liars. PICKTHAL: They listen eagerly, but most of them are liars. SHAKIR: They incline their ears, and most of them are liars. PICKTHAL: As for poets, the erring follow them. SHAKIR: And as to the poets, those who go astray follow them. SHAKIR: Do you not see that they wander about bewildered in every valley? PICKTHAL: And how they say that which they do not? YUSUFALI: Except those who believe, work righteousness, engage much in the remembrance of Allah, and defend themselves only after they are unjustly attacked. And soon will the unjust assailants know what vicissitudes their affairs will take! PICKTHAL: Save those who believe and do good works, and remember Allah much, and vindicate themselves after they have been wronged. Those who do wrong will come to know by what a (great) reverse they will be overturned! SHAKIR: Except those who believe and do good and remember Allah much, and defend themselves after they are oppressed; and they who act unjustly shall know to what final place of turning they shall turn back.